Coventry hosted our Nigerian brothers and sisters during the summer of 2015. They shared a great concert and we strengthened our relationship with each other through Jesus. Vacation Bible School meets for a week during the summer, typically in August. Coventry's Block party is a community favorite with fun games, great snacks and lots of fun! 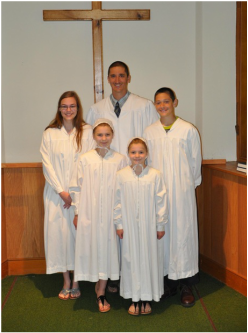 Believer baptisms are a regular part of our practice and are held during the worship service.